Precise Roofing - Fascia/Soffits/Guttering, Roofer based in South Croydon, Greater London. PRECISE ROOFING NOW ACCEPT CARD PAYMENTS ON SITE, CREDIT AND DEBIT CARDS ACCEPTED. 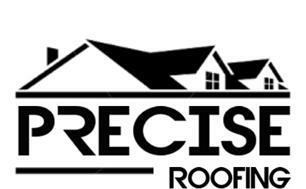 PRECISE ROOFING are a local reliable roofing contractor. We undertake all types of roof repairs and renewals. Unlike Many other Roofing contractors Precise Roofing offer an insurance back guarantee from a third party insurance company with all our entire renewals, so the customer has peace of mind their investment in the works to their property is safe and covered! This policy will be issued to the customer upon completion and a certificate will be issued from the insurance company. We take absolute pride in our service and workmanship and aim to please every customer with the high standard of work and competitive quotations, as to us it's essential we walk away with a satisfied customer and a high recommendation. All our work is fully insured as verified by check a trade, and we supply appropriate guarantees to all our work no matter of the size! When undertaking the decision of choosing your local roofing contractor it is essential you make the right choice and don't hesitate to shop around, as a dis functional roof can cause rapid damage to your house so it's key all work is carried out correctly. Having built up a great wealth of experience and clientele, we can proudly provide any necessary references to make you feel comfortable you have chosen the right tradesman. We hope Precise Roofing can assist you with your requirements.